Clearly, nothing to see here, folks…so what was that guy in white Muslim attire doing at Notre Dame Cathedral when it went up in flames? French officials claimed there were no people in the Notre Dame Cathedral when the devastating fire broke out. Clearly, there was at least one. The thread: btw, this guy is good for many more issues. Very rarely must he issue a correction. I still believe it’s Jihad and, I think, the twitter thread also. Start at the beginning. But, we must listen to what officials say to preserve themselves and want us to believe. CI, It’s obviously a CYA move. Here is your 6 pm news, NZ style: “Notre Dame Cathedral goes up in smoke. One of the protected species was spotted wandering about in a suspicious manner on the external balcony before the place was torched. It is suspected that a white supremacist doctored the image. The cathedral was damaged almost beyond repair, but it was purely an accident. More importantly, no Muslims were harmed in this video recording”. Disclaimer: The above commentary was invented by me, but our 6 pm news is equally vapid. We never saw the video. LZP. There are already stories in the media claiming these theories are right wing inspired nonsense. Saw the video in slower motion it is a firefighter. But others come behind him and are pulling out something. I saw many firefighters in other videos and they were all wearing red uniforms. These people were not. One was in a white robe with a white headdress and there were two in black. everything these muslims are doing in france is exactly what the left-wing french politicians brought them to france to do. the muslims are the communist’s allies. they serve as a surrogate army for the left to do these horrible things while providing political cover for the leftists. as long as people continue to vote for these leftists they will continue to lose their freedom. you are all mad at muslims, well you wouldn’t have a muslim problem if you didn’t vote for leftists. Most of us here lump the leftists and the islamofascists into the same toxic group. Both are complicit in destroying the West. Don’t forget that Hitler and the muzzies ganged up against the Jews, with a remarkable degree of success. It’s not that the French government want to prevent a war, it’s wicked deception by CHRISTIAN HATER French leaders. The EU and British and European GOD HATER leaders DELIBERATELY DECEIVE so that unsuspecting, defenseless non-Muslims won’t know their terrible danger until it is TOO LATE. The EU and British and European leaders are NOT on the side of their own people – native Brits and native Europeans. Nobody is confirming anything, just speculating. Actually, the best and most reliable news comes out straight away, during the chaos—before the govt has time to change ‘certain aspects’ to appease their moslem conquerors. Muslims are infamous for their EXTREME HATE for Jews and Judaism and Christians and Christianity. British and European leaders knew this before they colonized our Christian nations with Muslims. The constant SATANIC attacks on our churches are exactly what was anticipated by our Christian-hater leaders. Muslim terrorist attacks on Jews and Christians are going to increase tremendously. It’s what the Quran commands. Many Muslims are consumed with terrible hate for Biblical, Beautiful Saviour Jesus Christ. “Hardly anyone writes and speaks about the increasing attacks on Christian symbols. There is an eloquent silence in both France and Germany about the scandal of the desecrations and the origin of the perpetrators…. Not a word, not even the slightest hint that could in anyway lead to the suspicion of migrants… It is not the perpetrators who are in danger of being ostracized, but those who dare to associate the desecration of Christian symbols with immigrant imports. They are accused of hatred, hate speech and racism.” — PI News, March 24, 2019…….. I heard this morning that 17 churches in France had been torched in the last week. Including St. Sulpice, where the De Vinci Code was filmed. I don’t know about torched but vandalized. 50 churches were vandalized in February. Yes; it takes an attack on something as monumental as the Notre Dame Cathedral before the desecration of churches breaks out into the mainstream. Of course, most of the public is ignorant of any similar incidents, so the MSM can pull this one off as an accident. “You can fool some of the people all of the time, and all of the people some of the time, but you cannot fool all of the people all of the time”. It’s arson. The timing of the start of the blaze says it all: Five minutes after visiting hours were over and all visitors had left. Who are those three guys in the video? was there a time/date state on this video??? This is both off the subject and doesn’t pertain to Islam but I know you’ll be interested in this! James O’Keefe @JamesOKeefeIII and Project Veritas @Project_Veritas just put out a new video about “debanking”! This one refers to Chase Bank but he also talks about other left wing banks and PAY PAL who deplatform conservatives. When all the facts an cover ups all come to pass,it will probably be a Moslem who started the fire,Moslems have been smashing Catholic Churches all over France,open your eyes Moslems Hate Catholics an all Christians. i`d say macron has a lot to answer for. A lot to answer for? I’d call it high treason and crimes against humanity. Let us be clear about this. Kill the traitors first, then get your enemies. Right! I like the way you think. If you can’t believe them for what they say, believe them for what they do. “And with all deceivableness of unrighteousness in them that perish; because they received not the love of the truth, that they might be saved. I purposely did not cite the particular verses in this chapter because it is too important not to be read in its entirety. 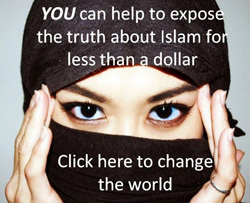 Never before have we been in such distress as we are now with the whole world going after Islam in its denial. 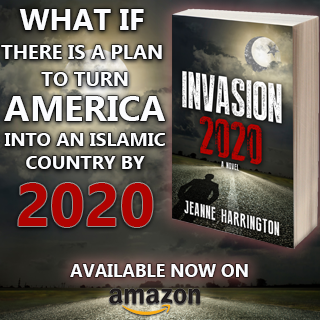 The United States has succumbed to the sharia in its Congress and the evidence of evil having infiltrated Fox News is laid bare by the excited denials of Shepherd Smith and Neil Cavuto of persons to reveal the full extent of what is occurring in France. On the on hand Islam is saying we shall do this and on the other hand their threats are to be made of no consequence even in the presence of the acts of them being perpetrated. This is exactly what Fox News has done in shaming these officials in view of the violence and desecration in France. Assuredly, Omar and Tlaib must not be allowed to continue in our United States Congress. That extends to a considerable number of their Democratic colleagues. The wolf in sheeps clothing Keith Ellison, Attorney General of Omar’s Minnesota also remains to do much damage. The handwriting is on the wall folks. God will see to it that a nation that forgets Him shall be destroyed. Maybe the mudslime burned up . Wishful thinking. There is your arsonist! The French police arson investigators will cover it up saying the fire was started by a careless smoker. It’s certainly not the Hunchback of Notre Dame!!!! From Vlad Tepes blog, another point of view with interesting “details” ….. Upon watching the Vernon video it clearly shows a Muslim man inside the cathedral, will France mention this, likely not as not to incite a mass riot. Islam will destroy all culture of a nation they invade, wake up people to save your, our nation. Troy, the truth will come out. If muslims were behind this, they will be bragging about it sooner or later. Anyone handing out candies? Dancing? Smiling and laughing? Demanding a “mosskuh” be built on the site, “Hrrite hearrrruh”? Lots of “Allahu Akbaring” all around Paris. We all know it is arson and who is behind it. Coincidence that days before a Muslim woman was arrested and making threats? That they are the ones (along with some Atheist and Satanist) cheering about the fire? How it was closed and not even workers were there when the fire broke out? How you blame it on renovation and say it is an accident when they weren’t even working at the time fire broke out? I did find that man in the video suspicious. Didn’t look like any firefighter. Fake video or not, we still know that it could be arson and if so, who mostly be behind it. In the video showing the muslim dressed in white walking, the voice in the back ground slounded very much like her said “Inshallah”. When the fire was still raging, media accounts said the the French prosecutors had already ruled out terrorism &/or arson. Obviously the cover up had begun & the scum politicians will double down on it. Let’s face it. We all know it was a MUSLUM. 1. 2-3 Churches in France are being desecrated/destroyed by Muslims every day. 2. A 14 century megalomaniac who wanted to rule the world left orders for his future followers to create an infidel-free world by any means necessary, beginning with Christians and Jews. 3. This month, the St Sulpice Cathedral was set afire. 4. Last friday, A Muslim woman was arrested for planning a to blow up Notre Dame. 5. Jihadis carry out terrorist attacks on days which are either meaningful to them or to their victims. This happened during Holy Week, the most sacred and celebrated time of the year for Christians. But I doubt that Islamists will be exposed as the perps because France has an exponentially growing Muslim population and Macron, who doesn’t dare offend his Muslim constituents, will suppress it. So likely we’ll be told it was a ‘renovation’ accident which caused it. WE know!…THEY also know…but they lie and cheat the masses of idiots who are believing to what the leftist media and THE VATICAN…are telling them ! I don’t think there’s anything amiss here, to be honest. This is the live, uncropped version of the video, as posted by CNBC on Youtube. Watch from 30:28 to 31:00, and you’ll see what I mean. I am not saying this was not arson, just that this footage shows something completely different. Two different views by the appearance of it. The individuals seen in your offering are considerably darker and the absence of fire and its aura to the right in the frame cannot be ignored. The opening sequence provided by Bonnie shows an individual in white with what appears to be some form of head covering possibly a taqiyah or Kufi as it is more commonly known in the states. Note considerable evidence of the aura of fire to the right of the frame. These are not one and the same. Too, time and date stamping is often available in such video capture such as you rely upon which could demonstrate these to be two different video captures. How do you know that’s the same time frame? They are two different video captures occurring at different times portraying the same location on the cathedral. Absence of the aura of fire in Eve’s portrayal. Presence of fire and its aura when the individual highlighted in Bonnie’s portrayal is seen moving across the balcony. Two different versions. Two different times. I disagree. I am inclined to think it is one and the same video. These people move back and forth several times. They head off to the left and disappear behind a column, then one comes back and heads to the right and one comes and heads to the left. At 3:28 you just manage to see the head of the third one to the left of the column and then there is something thrown as you can see the flame. The flame is going down, not up and appears to fall in a curve as if it has been thrown. There is nothing above that flame for it to be falling timber, so my guess is that it is being thrown by that third man to add to the fire. Don’t see the same video. People walking opposite way. Probably firefighters at this point.